Have you ever arrived somewhere and suddenly thought 'I don't understand the culture, the customs or how to behave'? Well, not only might you be confused by the land you're in, but you've also just become an accidental ambassador for your own culture. How will you handle it? 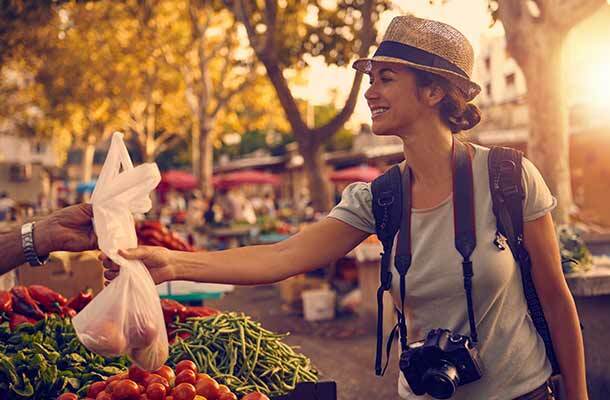 Our friends at Ethical Traveler have shared their tips for brushing up on your interpersonal skills, making a good impression and ensuring the locals are thrilled to have you back again. And patronize locally-owned inns, restaurants, and shops. Try to keep your cash within the local economy, so the people you are visiting can benefit directly from your visit. Only to their parents or teachers. When giving gifts to local communities - from schoolbooks to balloons, from pens to pharmaceuticals - first find out what's really needed, and who can best distribute these items. Before visiting any foreign land, take the time to learn basic courtesy phrases: greetings, "please" & "thank you," and as many numbers as you can handle (those endless hours in airport waiting lounges, or aboard trains and boats, are all opportunities for this). It's astonishing how far a little language goes toward creating a feeling of goodwill. A few rupees, baht or pesos one way or another is not going to ruin you. Don't get all bent out of shape over the fact that a visitor who earns 100 times a local's salary might be expected to pay a few cents more for a ferry ride, a museum entrance, or an egg. And with respect for the seller. Again, remember the economic realities of where you are. The final transaction should leave both buyer and seller satisfied and pleased. Haggling for a taxi or carpet is part of many cultures; but it's not a bargain if either person feels exploited, diminished, or ripped-off. Each culture has its own mores, and they're often taken very seriously. Never, for example, pat a Thai child on the head, enter a traditional Brahmin's kitchen, or refuse a cup of kava in Fiji! Anger is a real issue for westerners—even the Dalai Lama remarks on this. It's perversely satisfying, but it never earns the respect of locals, or defuses a bad situation. A light touch—and a sense of cosmic perspective—are infinitely more useful. As former Merry Prankster Wavy Gravy says: "When you lose your sense of humor, it's just not funny anymore." It makes an enormous difference if you arrive with a sense of the social, political, and environmental issues faced by the people you are visiting. Our site will direct you to good profiles of most travel destinations; we also recommend you read the political and historic sections of your guidebook (Lonely Planet, Moon Publications, and Rough Guides are especially good for this). Many countries offer English-language newspapers, as well. The ability to listen is the essence of diplomacy, on both the personal and international levels. Many of the world's conflicts arise when people feel marginalized. Travelers from the USA in particular should be aware that many people—especially in developing countries—believe that having the ear of an American is tantamount to having the ear of America. So wherever you're from, listen well—and with respect—to all points of view. People from wealthy and powerful countries often express their opinions as if they are the absolute truth. Such preaching invites anger and resentment. We suggest tempering conversations with phrases like "I believe," or "My view is," rather than, "Everybody knows...."
11. Can You Please Help Me? The single most useful phrase any traveler can learn: "can you please help me?" Rarely, in any country or situation, will another human being refuse a direct request for help. Being of service, and inviting others to reciprocate, is what the phrase global community is all about. The inhabitants of planet Earth will continually amaze you with their generosity, hospitality and wisdom. Be open to their friendship, and aware of our common humanity, delights, and hardships. "Peculiar travel suggestions are dancing lessons from God." In other words: go with the flow, and give free rein to your sense of adventure! Thanks to Jeff Greenwald and Ethical Traveler who have shared these tips with us. Ethical Traveler's focus is on the positive impact travelers can have by being open, informed, and willing to immerse themselves in other cultures. Become a member of Ethical Traveler, or make a contribution. A guide on etiquette in Indonesia to help travelers avoid any awkward mis-understandings.